Резюме: After engaging in an illicit affair with one of his pupils, English teacher Parker Sithole spirals into an abyss of obsession that eventually turns to murder. 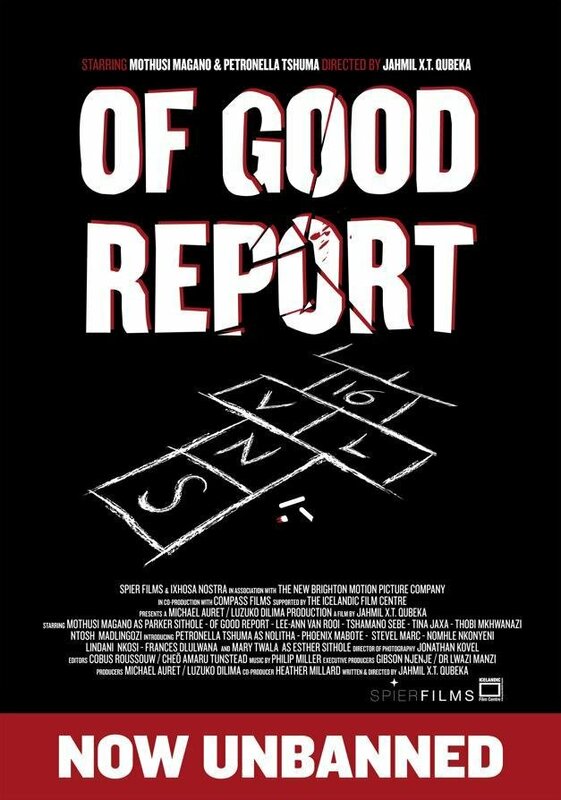 A cinephile's passionate homage to classic film noir, Of Good Report is an evocative yet humorous story about a demented teacher's attempt to get away with the murder of a teenage beauty queen. The film is a serial killer origins story about how a social misfit turns into an inadequate man hell-bent on satisfying his shameful lust. It is Little Red Riding Hood, told from the wolf's perspective.